Dynamism and innovation are the pivot points of know-how at Laurini Officine Meccaniche, the leading Italian company in the pipeline and earthmoving machinery sector. The ability to anticipate changes on the market and to meet the needs of the clientele has been a winning strategy for the company, powered by its enthusiasm for work and its unceasing research to develop customised and optimised solutions in line with the latest trends. In the operating context of the new industrial era 4.0, Laurini Officine Meccaniche is able to count on technological tools of automation to manage many of the production stations, so as to reduce any margin of error, guaranteeing quality and safety. 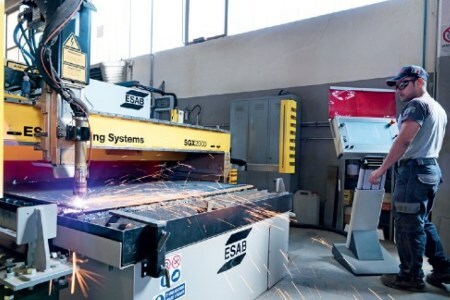 An extremely efficient strategic approach ensures the maximum efficiency and enables the company to react promptly to changes in production processes and to develop and offer useful solutions in both functional and competitive terms, with particular regard to the increasing demand for customised machinery. In this view of striving for maximum satisfaction of the customers’ needs, Laurini Officine Meccaniche is prototyping new sizes of its best-selling machine, the Vulcano 2.0, a self-propelled radio-controlled vibrating screen on a tracked vehicle, to be presented officially in April 2017. Vulcano Smart and Vulcano XXL will be the two new models expanding the Vulcano 2.0 range, that already has 100 units at work at sites around the world, to respond effectively to the needs in relation to the type and size of the project. Compact and portable without special permits, given the shipping width of 2.5 t and weight of 21 000 kg, Vulcano Smart is ideal for small and medium construction sites, guaranteeing a volume of production as high as 200 m3/hr, thanks to the Caterpillar C4.4 143 cv engine. The imposing Vulcano XXL offers greater performance in terms of production up to 300 m3/hr, and is perfect for large products, with a shipping width of 3.5 t, weight of 30 000 kg and use of a powerful Caterpillar C7.1 225 bhp engine. The excellence of the Vulcano 2.0 is not just a concept, but is the result of specific engineering and construction choices: the same choices that have made Laurini Officine Meccaniche the leader on the market for research and innovation. It is reputation acknowledged worldwide, not only for the customised creation of machinery and equipment, but also for the development of country specific solutions, the customisation of standard machines and the development of more powerful services for the clientele, with a network of service and repair centres, rental and sales offices located throughout the five continents, with the ability to make a real difference. “The evolving modern society in which we live needs more highly specialised machinery all the time,” says Marco Laurini, Chairman of Laurini Officine Meccaniche. “A company like ours, that lives and breathes technological innovation, cannot fail to thrive in a setting like this. What is hanging is not so much the way of production, but rather the way of engineering our products using the targeted new tools available to rationalise costs, optimise performance and improve the safety of the workplace,” concludes Laurini.